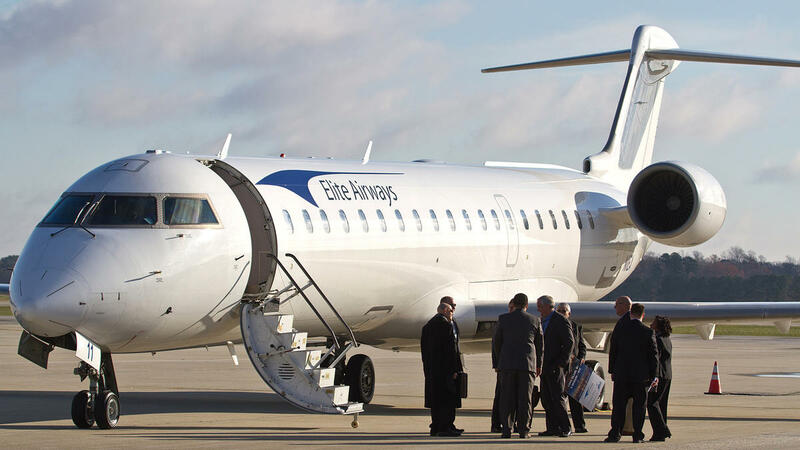 Elite Airways announced Wednesday morning that it will provide nonstop service from Newport News-Williamsburg International Airport to Islip, N.Y. and Newark, N.J. starting in March. Fares for both destinations will start at $99. John Pearsall, President of Elite Airways during his speech. 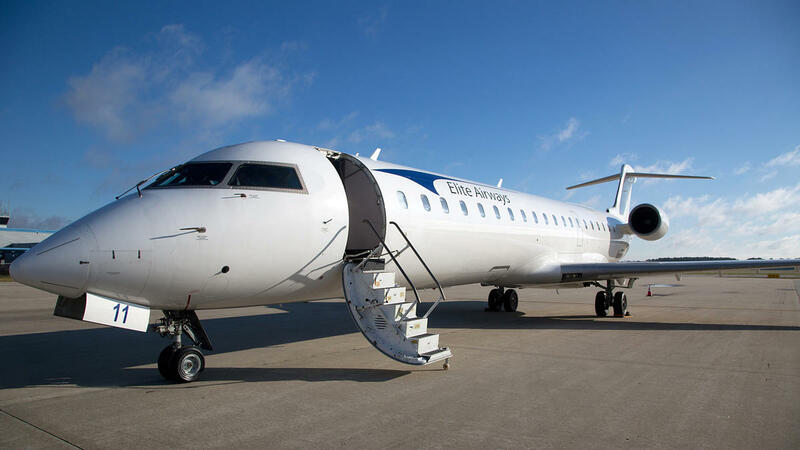 Elite Airways' jump into the business-travel-oriented Peninsula market represents a big commitment for a fast-growing little airline that is drawing another big undertaking from the Peninsula Airport Commission and local governments. The Maine-based airline's plan to connect Newport News/Williamsburg International Airport to two metro New York airports that straddle the Big Apple to the east and west marks a major move away from the snowbird business on which it first built its new scheduled air service. For Elite, it means bringing planes here that aviation consultants estimate can cost roughly $3,750 an hour to fly, as well as all the other costs that go into ensuring that aircraft are in good repair and the hundreds of thousands of dollars invested in fixed costs ranging from crew training to insurance to hangar space. For the airport commission, Elite also represents a new direction. The commission is buying nearly $400,000 worth of equipment and planning to make its first-ever plunge into handling the terminal side of air service, a line of business executive director Ken Spirito hopes to offer to other airlines, including Delta and American, the two already at the airport. The commission also plans to spend $300,000 advertising the new service, when it starts, while a regional body funded by seven local governments is ready to make up the difference if Elite's first year revenue falls short of $500,000. All in all, it's a proposal that would add up to $1.2 million if Elite didn't sell a single ticket, which neither the airport nor Elite think will happen, especially since people were already buying tickets when the airline announced it would delay a March launch date. Elite did so because it was concerned about perceptions of the airport in the wake of Daily Press reports that a commission loan guarantee to another airline two and a half years ago had prompted state Secretary of Transportation Aubrey Layne to yank the airport's state funds. Elite president John Pearsall declined to talk about the airline's business for this story, but had said earlier that he liked the Peninsula's strong business-travel market. Airport officials first made their case to him about that business market about a year ago. They've been looking for a New York-area connection for years. "Newark — you can almost just call it a service to New York. And Long Island is — you are catering to a different New York population because getting to LaGuardia or JFK or Newark is not that easy," said William Swelbar, a research engineer for the Massachusetts Institute of Technology's International Center for Air Transportation and an affiliate of the school's Global Airline Industry Program. Swelbar has been a consultant to the airport commission. "Is there a sufficient enough population on Long Island for a small aircraft serving the Hampton Roads-Williamsburg area? My guess is yes, if marketed correctly. Newark, I'm less concerned about," he said. The Peninsula's promises to Elite add up to a larger potential commitment than Elite has received from other communities it serves, though it is dwarfed by the big bucks that come from the controversial federal Essential Air Service payments, a $275 million program meant to assure service to rural areas. Elite's first venture into the Essential Air Service arena, an offer to link the Nebraska cities of North Platte and Kearney with 12 flights a week from each, supported by federal subsidies of $4.7 million and $4.2 million, didn't pan out, according to published reports. But even those sums are dwarfed by the incentives that lured Aer Lingus to the airport in Hartford, Conn. That airport included up to $9 million to offset potential losses in the trans-Atlantic service's first two years of operation, as well as $5 million in marketing funds and waived fees, according to the Hartford Courant. Nowadays, airport authorities are using incentives more often to encourage business, Swelbar said. There is no "cut and paste" incentive formula, he said, and every airport authority tries something different. It is not uncommon for incentives to exceed $1 million, he said. "If you kind of believe you can use your airplane better somewhere else, that's probably what you do because assets are mobile," Swelbar said. "So if they're not satisfied with how the market is developing, it's not uncommon to see someone take the asset and try another city pair." And, he added, Newport News is anxious to be part of such a pair. "The folks in Newport News have been very aggressive in using incentives over the years," he said. 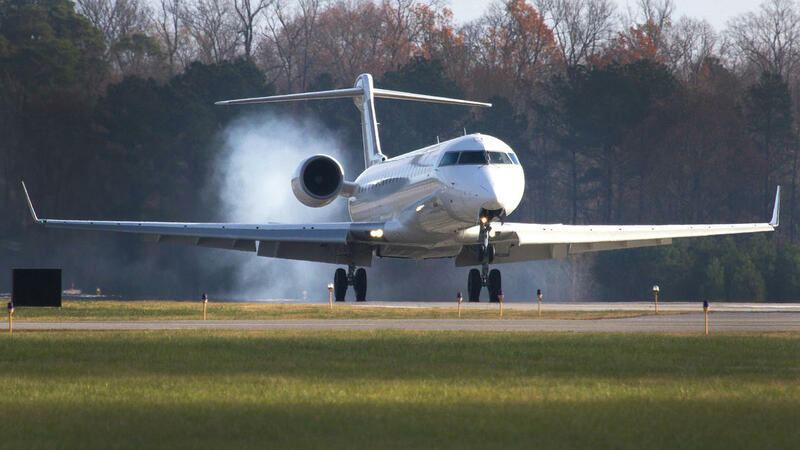 Spirito has said airports, especially smaller ones like Newport News, have to offer support in order to woo new airlines. For the airlines, a new market means spending on what Spirito calls a perishable product — the seats they need to fill. If not enough people file in at the gate, there's simply no other way for the airline to make up the loss. 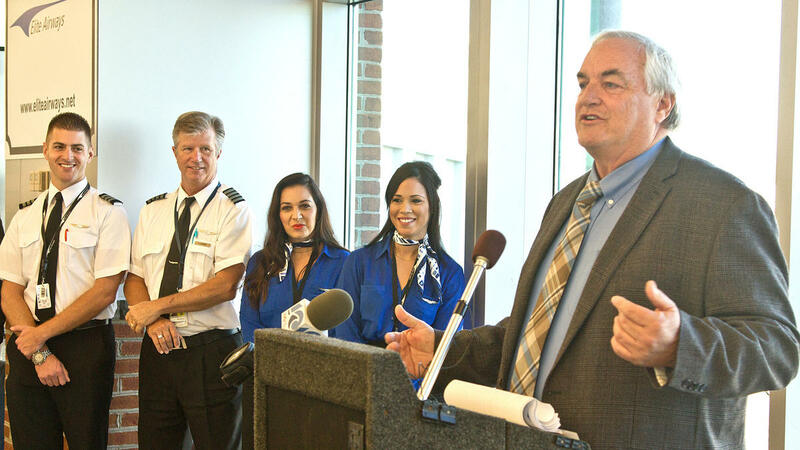 Frederick J. Piccolo, president and CEO of the Sarasota-Bradenton International Airport, said that hasn't been a problem since Elite began its service this past November from the Florida west coast airport to Portland, Maine, and Melbourne, Fla. 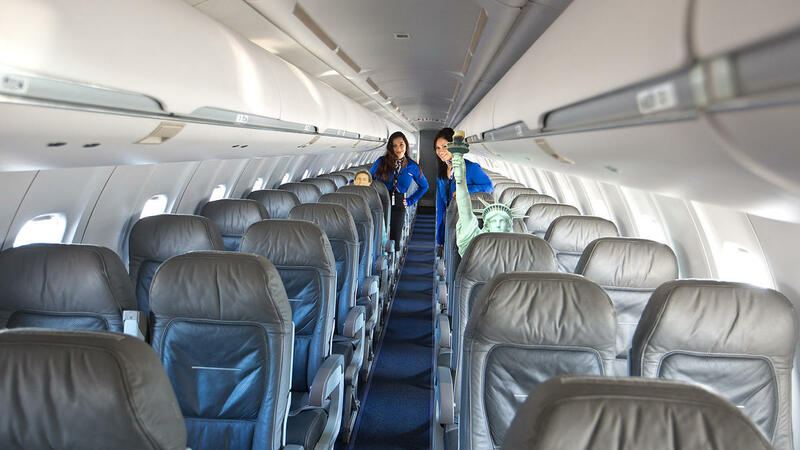 The airline has been filling 90 percent of its seats, and its twice weekly flights have grown to five flights during heavy travel times, he said. 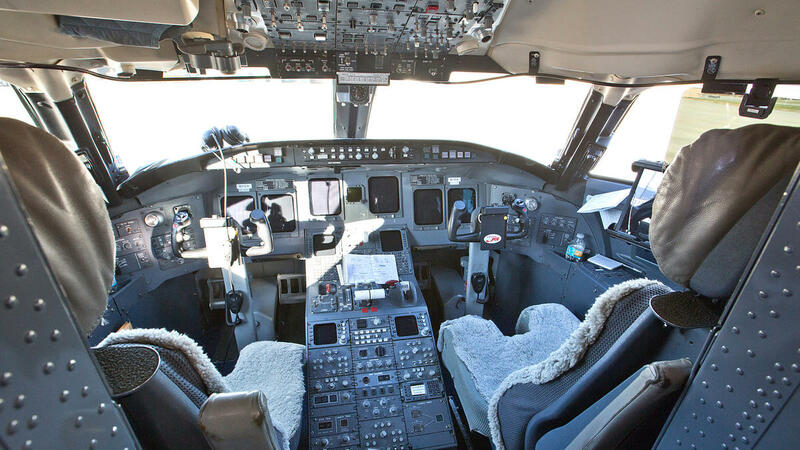 The airline "certainly meets the goals and then exceeds them some," he said. "We'd love to see more flights, obviously." The airport authority, along with Sarasota and Manatee counties, contributed $200,000 in marketing incentives to the airline, Piccolo said. The airline's airport fees have been waived for the next two years — the most allowed by federal regulations — and will amount to about $1,000 a week, Piccolo said. If the airline operates every week through November 2018, that would amount to about $104,000. Elite's time at Vero Beach Regional Airport also has exceeded expectations, said executive director Eric Menger. The airline started nonstop flights to Newark in December 2015, then expanded service from two days a week to four, he said. "There was a pent-up market that they were able to capture," Menger said. Menger said there's a sizable retired population from New York that has moved to Vero Beach or its surrounding area. And besides tourism, the airline provides a quick link to New York City for business trips that might have otherwise happened over Skype. "It's almost like we created a little bit of a market now because there's an airline there ... when they might not have otherwise scheduled that trip," Menger said. The airport authority gave Elite $24,000 in marketing incentives and waived rental fees for one year, which shakes out to about $30,000 to $40,000 in total breaks, Menger said. It has no landing fees currently, he said. "I like the way that Elite has been growing," Menger said. "They're a small company, they're growing slowly and they're growing carefully." Elite has struggled in Naples, Fla., where the airport commission is upset by its decision after just a few months to stop direct service to Newark, replacing it with a one-stop, after the airport spent $50,000 on marketing and waived $24,000 in rent. The combination of a seasonal market and more limited local support made that market a challenge, Pearsall has said. Small airports — and the subsidies they hand out — have been key to Elite Airways' business plan since it got into the business of scheduled air service in 2014. 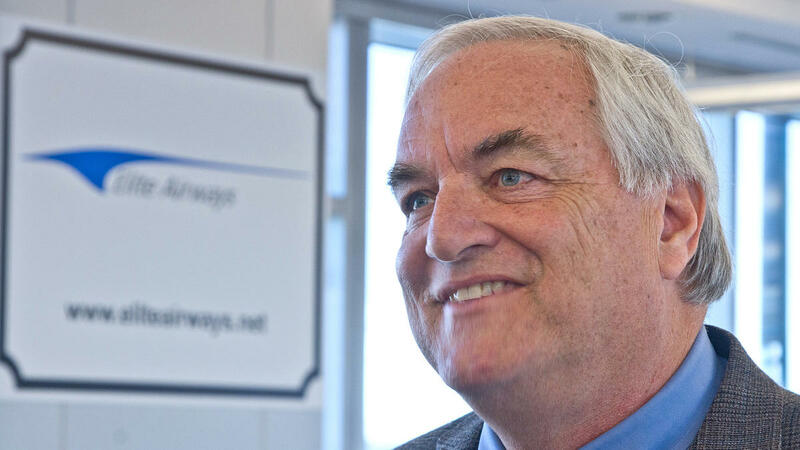 Outlining the company's plans to his hometown newspaper that year, Pearsall said he had always had the idea of turning the charter company into a regular airline, hoping to benefit from the incentives smaller airports offer. "We just needed to find the right city pairs," he told the Portland (Maine) Press Herald. Pearsall had built the company into a player in the charter market, where what was then a five-jet fleet ferried sports teams and the White House press corps, after the collapse of Primaris Airlines, where he was president and chief operating officer. Primaris filed for bankruptcy in 2008, court records show. Primaris wasn't alone. The first year of the Great Recession, 2008, was bad for many airlines, even ones much bigger than the two-jet operation. Air Midwest, ATA Airlines, Big Sky, Champion Airlines, Eos Airlines, Frontier Airlines and Skybus Airlines also went to bankruptcy court that year, according to the Airlines for America trade association. Aloha Airlines and Sun Country Airlines made return trips in 2008 — Aloha had filed for bankruptcy four years earlier while Sun Country's first bankruptcy came in 2002. 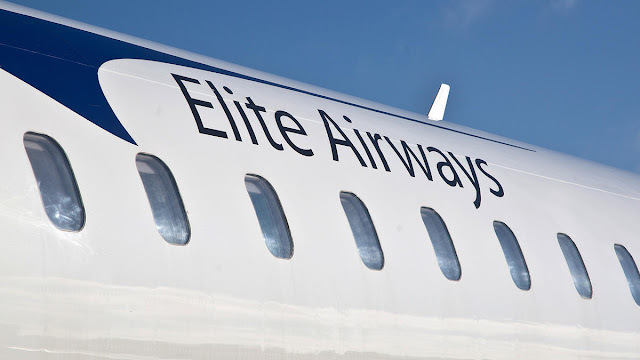 After an an abortive 2013 feeler in Baton Rouge, La., where the airport promised a two-year waiver of fees and $100,000 in advertising, Elite's first move into scheduled service was a connection between Portland and Melbourne, Fla., about an hour's drive from the tourist mecca of Orlando, according to published reports. Elite got a taste of the often contentious politics of airport incentives in 2015, when the Mesa, Ariz., airport, in the shadow of Phoenix's giant Sky Harbor International Airport, offered it a $600,000-plus package if it would agree to provide flights to San Diego. Mesa offered a similar deal of revenue guarantees, advertising and waived fees if Elite would serve Salt Lake City, but dropped the offer after another subsidized airline serving the airport complained, according to the Arizona Republic. The airport figured once Elite was up and running and the fee waiver expired, it would realize about $100,000 a year in revenue. Elite eventually decided against the Arizona business. The other subsidized airline dropped its threat to shift to Sky Harbor. 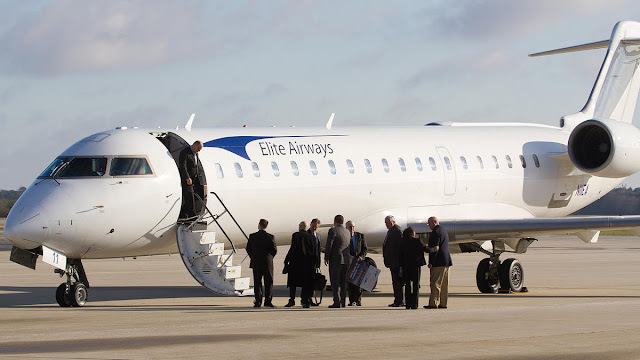 Elite made a point of saying it was not getting any incentives from the airport in Rockford, Ill., when it announced service to Newark and an airport about 50 miles north of Denver in May 2015. It dropped the Newark service in October. It dropped the Colorado service in August, but plans to restart it in May. June of last year marked its big splash: new twice-a-week service from Islip airport to its home base of Portland, Maine, Myrtle Beach, S.C., and Melbourne, Fla., and new twice-a-week service from the Maine resort town of Bar Harbor to Newark. 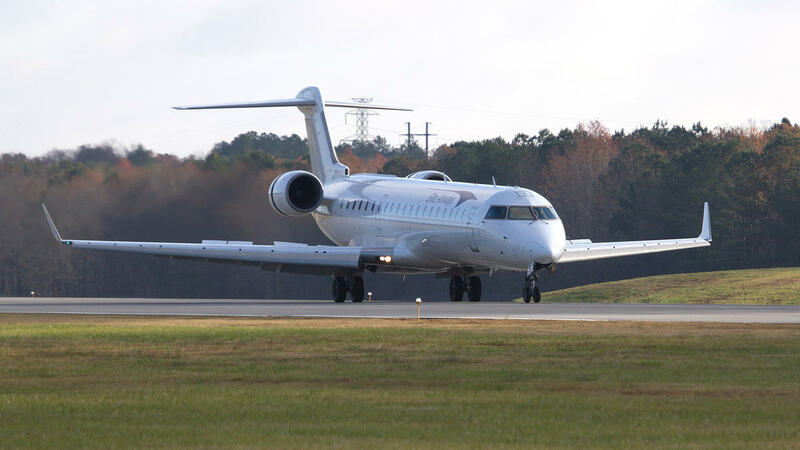 From those bases, it added one-stop service linking Portland to Myrtle Beach, as well as Bar Harbor to Vero Beach, Fla., and Bar Harbor to Islip. In July, Elite made a bid for some $700,000 of federal grants to the airport in Charleston, W.Va., proposing service to Florida, but nothing came of that. 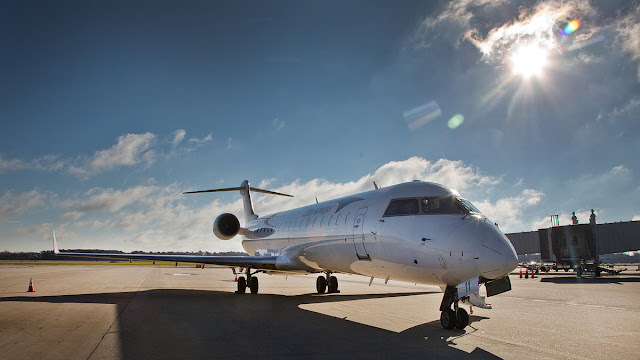 Elite began service in July 2016 from Branson, Miss., to Houston and Denver, operating the route on behalf of Great Lakes Airlines, in a seasonal service to that tourist spot. Elite started as a charter operation in 2006, with backing from a trust for the family of California investor Robert V. Lyle, who made his fortune with a packaging company he sold in 2002 for an undisclosed sum. The Lyle trust owns 60 percent. A trust for California financier Don Hankey and his family owns 25 percent, according to federal aviation records. Pearsall owns 15 percent of Elite. He is a pilot who worked as a Boeing 757 flight instructor at America West Airlines before going on to found Primaris. 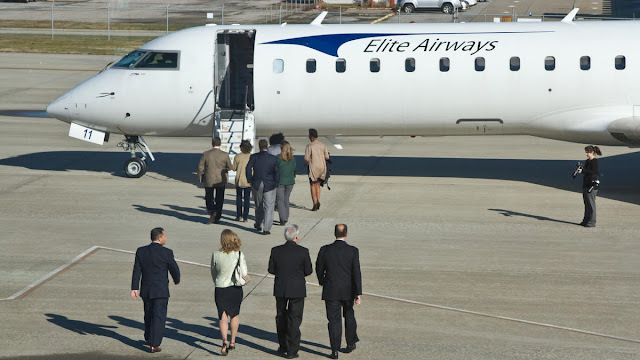 Elite operates 12 planes, and its most recent financial reports with federal regulators show its assets exceeded its liabilities, unlike the airline that operated People Express' planes. Those reports show Elite had total assets of $12.1 million, mostly its fleet of aircraft, valued at just under $12 million. Its IOUs amounted to just under $11 million. So far, it has weathered accumulated losses of $3.6 million, and still has a solid net worth, its financial data show. Postaccident examination of the engine revealed that the fuel pressure line that connects the fuel control unit to the airframe fuel pressure transducer was fractured below the fuel control unit fitting's swaged seat. In addition, a supporting clamp for the fuel pressure fuel line was fractured and separated. The operator reported that the fractured fuel line had been replaced the night before the accident and had accumulated about 4 hours of operational time. The previously-installed line had also fractured. Metallurgical examination of the two fractured fuel lines revealed that both fuel lines fractured due to reverse bending fatigue through the tube wall where a ferrule was brazed to the outside of the tube. There were no apparent anomalies or defects at the crack initiation sites. Examination of the supporting clamp determined that it fractured due to unidirectional bending fatigue where one of the clamp's tabs met the clamp loop, with the crack initiating along the inward-facing side of the clamp. The orientation of the reverse bending fatigue cracks and the spacing of the fatigue striations on the tube fracture surfaces were consistent with high-cycle bending fatigue due to a vibration of the tube. The cushioned support clamp is designed to prevent such vibrations from occurring. However, if the clamp tab is fractured, it cannot properly clamp the tube and will be unable to prevent the vibration. The presence of the fractured clamp combined with the fact that the two pressure tubes failed in similar modes in short succession indicated that the clamp most likely failed first, resulting in the subsequent failure of the tubes. Since the clamp was likely fractured when the first fractured fuel pressure line was replaced, the clamp was either not inspected or inadequately inspected at the time of the maintenance. A total loss of engine power due to a fatigue fracture of the fuel pressure line that connected the fuel control unit and the fuel flow transducer due to vibration as the result of a fatigue fracture of an associated support clamp. Contributing to the accident was the mechanic's inadequate inspection of the fuel line support clamp during the previous replacement of the fuel line. 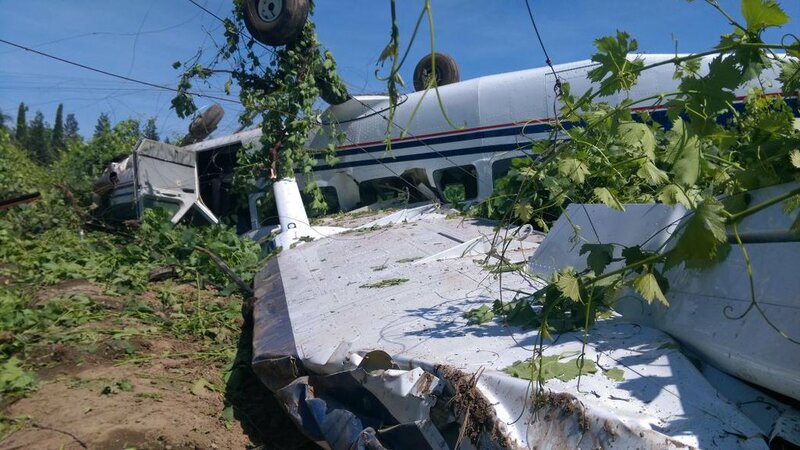 On May 12, 2016, about 1413 Pacific daylight time, a Cessna 208B, N1114A, was substantially damaged during a forced landing near Acampo, California. The airplane was registered to Flanagan Enterprises (Nevada) INC., and operated by the Parachute Center under the provisions of 14 Code of Federal Regulations Part 91. The commercial pilot sustained minor injuries and his 17 passengers were not injured. 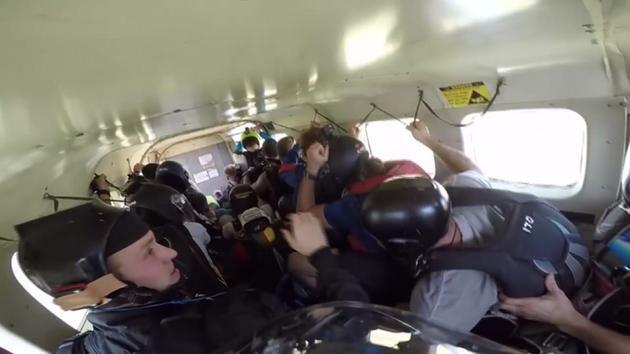 Visual meteorological conditions prevailed and no flight plan was filed for the skydiving flight. The local flight originated about 1 minute prior to the accident. The pilot reported that following takeoff from runway 26, he made a right turn and continued his climb for the skydive drop, however, as the airplane passed 1,000 ft above ground level (agl), the engine lost power. The pilot initiated a turn toward the airport, however, realized he was unable to make it, and landed in an open field. 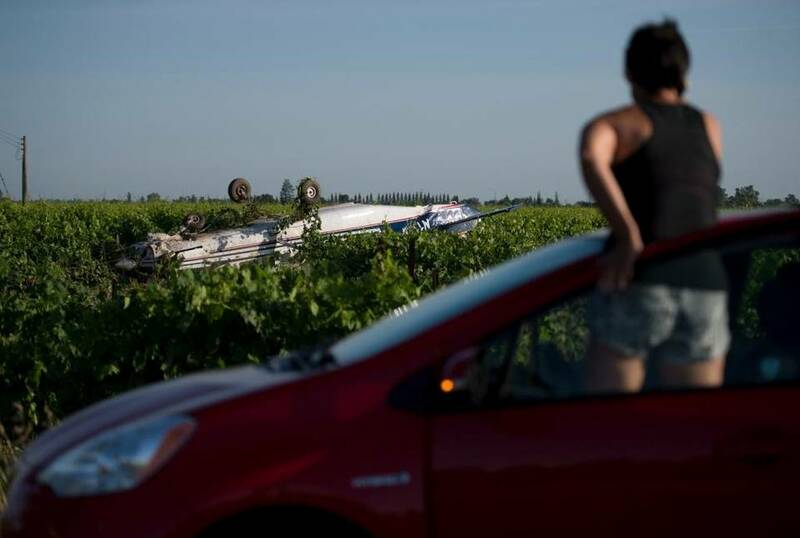 During the landing roll, the airplane exited the field, crossed a road, impacted a truck, continued into a vineyard, and nosed over. Examination of the airplane by a Federal Aviation Administration inspector revealed that the fuselage and left wing were substantially damaged. The wreckage was recovered to a secure location for further examination. Examination of the recovered wreckage was conducted on May 17 and 18, 2016. The engine remained partially attached to the fuselage. The fuel pressure line that connects the fuel control unit to the airframe fuel pressure transducer, Pratt & Whitney Canada (PWC) part number 3033981, was fractured below the fuel control unit fitting swaged seat. The supporting clamp, PWC part number 3006614, was fractured and was separated from its mating fuel pressure fuel line, PWC part number 3032010. In addition, the airframe P3 air line that provides air to the vacuum system exhibited a hole within the tube. The operator reported that they had replaced the fuel line, PWC part number 3033981, the night before the accident due to the original fuel line being fractured. They stated that the new fuel line had about 4 hours of operational time since the installation. Review of the maintenance logbooks revealed that an entry regarding the replacement of the fuel line was dated April 11, 2016, with no airframe, engine, or HOBBS meter times listed. The operator was further questioned about what manual they used regarding engine maintenance and they replied they used the manufacturers manual for all engine related maintenance. When questioned about the supporting clamp, PWC part number 3006614, the operator stated that the clamp was attached at the time of the fuel line replacement. Both the new and old fuel lines and separated clamp were sent to the National Transportation Safety Board Materials Laboratory for further examination. A Senior Materials Engineer examined the fuel lines and clamp and reported that the fuel line fracture surfaces were examined with the aid of a digital optical microscope and a scanning electron microscope and both fractured tubes were found to exhibit features consistent with crack initiation due to reverse bending fatigue. The metal band of the clamp was fractured near the intersection of the tab and the loop portion of the clamp. The fracture surfaces were examined and exhibited features consistent with crack initiation at the inward-facing side of the tab due to bending fatigue. The fracture surface exhibited a comparatively flat appearance with curved crack progression marks on the fracture surface consistent with the crack initiating on the inward-facing side of the tab. For further information, see the Materials Laboratory Factual Report within the public docket for this accident. The pilot reported that following takeoff from runway 26, he made a right turn and continued his climb for the skydive drop, however, while passing through 1,000 feet above ground level (agl), the engine lost power. The pilot initiated a turn toward the airport, however, realized he was unable to make it, and landed in an open field. During the landing roll, the airplane exited the field, crossed a road, impacted a truck, continued into a vineyard, and nosed over. Examination of the airplane by a Federal Aviation Administration (FAA) inspector revealed that the fuselage and left wing were structurally damaged. The wreckage was recovered to a secure location for further examination. If there's one local outfit that enjoys a dangerous exemption from regulation - somehow, in this over-regulated state - it is the Lodi Parachute Center. At least 13 people have died out there. Federal "regulators" have been useless. So now Stockton's Assembly member is stepping in with legislation. Susan Eggman, D-Stockton, is introducing AB295, a state law that would hold drop zone owners accountable in state court if they fail to obey federal safety regulations. "We've seen multiple people dying out of that facility in Lodi," said Eggman. "It prompted me to say, how are these regulated? And maybe they're not regulated appropriately?" To say Lodi Parachute Center is not regulated appropriately is an understatement. The owner, William C. Dause, runs an operation seemingly regulated by no one. The center is one of the few in the nation that do not belong to the United States Parachute Association. It therefore does not have to abide by USPA's voluntary safety standards. Dause held a personal membership; the USPA revoked it after finding that the instructor who died in a double fatality in August, Yong Kwon, 25, of South Korea, was certified by a man who forged his credentials. Kwon's certification was therefore invalid. Nonvoluntary safety laws are the jurisdiction of the Federal Aviation Administration. The FAA's regulations govern aspects such as parachute rigging and airplane maintenance. In practice, however, Uncle Sam been flagrantly derelict. With few exceptions, they have treated the Lodi center as if it were on an impossibly remote high-altitude plateau in Tibet. "We are still investigating," said Ian Gregor, the public information contact for the FAA's Western-Pacific Region, said of the August double fatality. Gregor added, "Our investigations often take some time because we are very deliberate in what we do. And we document everything meticulously." This would not be an issue - on the contrary, a drawn-out investigation would be a marked improvement - if it led to punishment for violators. But Uncle Sam never produces results. In 2010, investigators accused Dause of neglecting airplane maintenance in more than 2,600 flights. They "proposed" a stiff, $664,000 civil penalty. In 2011, they proposed a $269,000 civil penalty after allegedly finding Dause ignored safety inspections on a plane that took 41 flights. What followed was staggering in its toothlessness. "We couldn't reach a settlement with Mr. Dause," Gregor said. "So per our protocols we referred it to the U.S. Attorney's Office for prosecution. The U.S. Attorney's Office opted not to pursue the cases." It's amazing. Dause simply refused to pay $933,000 in civil penalties, and Uncle Sam let him get away with it. Dause presumably returned to business as normal. 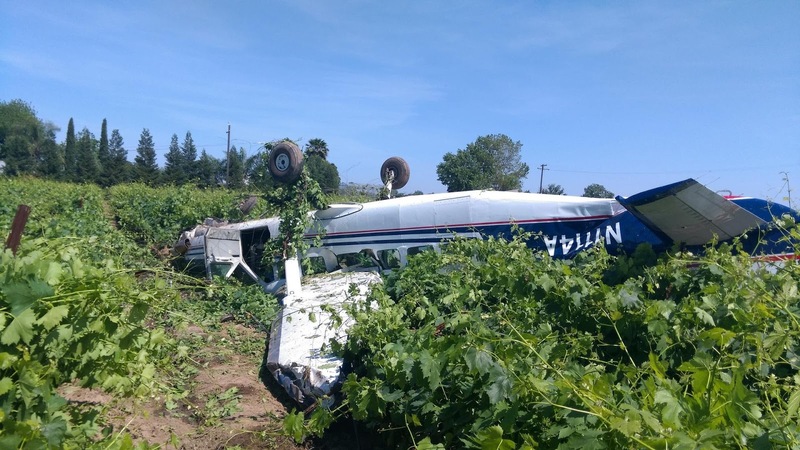 In May, a Cessna plane carrying a pilot and 17 passengers from the Lodi Parachute Center suffered mechanical failure, clipped a pickup on Highway 99 and crash-landed upside down near a farmhouse. That no one died or suffered major injuries is one of the most astronomically improbable outcomes in the history of San Joaquin County aviation. Eggman's bill, designed to fill the appalling regulatory void in which the center operates, would give plaintiffs and district attorneys the power to take action in civil court. "If the feds aren't concerned about keeping people safe in California, we certainly are," Eggman said. Skydiving is a risky sport. Occasional fatalities are expected. But customers should be able to expect that the safety regulations on the books are being followed. Reached at the center, Dause said he could not comment because he has not seen Eggman's bill. He declined to answer numerous questions, including the exact number of people who have died at his business. "I haven't kept track of that," Dause said. he NTSB did not travel to the scene of this accident. 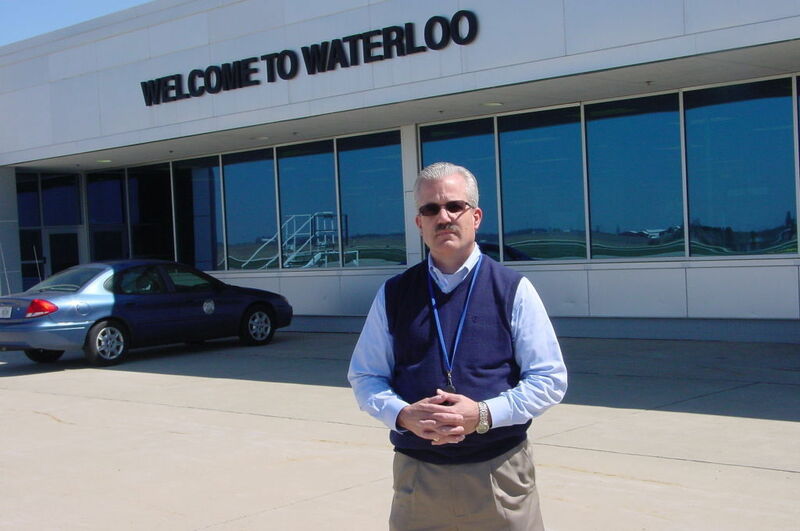 WATERLOO – More passengers flew out of the Waterloo Regional Airport in 2016 than any time in the past eight years, a new report and data compiled by airport director Keith Kaspari shows. A total of 25,322 outbound passengers during calendar year 2016, an increase of 338 passengers from calendar year 2015 in contrast with 2015. But it's also the most since 25,620 passengers "flew Waterloo" back in 2008. The number of passengers flying out of Waterloo has especially increased over the past four years, largely due to American Airlines/American Eagle, airport officials reported. The passenger numbers for 2016 also reflect an increase of 5,990 passengers, or 38.6 percent over 2013, an by an average of about 9.7 percent a year. "Slowly and surely, we are trending in the right direction," airport director Keith Kaspari said. "My goal is to continue to build ridership so we can justify with American Airllines a third departure to O'Hare (International Airport). They've served us very well. "Our task is to get Waterloo, Cedar Falls and Northeast Iowa travelers to look at Waterloo, in contrast with maybe looking at the steering wheel for about an hour or two before they get to a larger airport," Kaspari said. The airport's end-of-year report also indicates 2016 is the second year in a row the airport averaged over 2,000 passengers per month - 2,110. Monthly numbers also are approaching calendar year 2008, with a monthly average of 2,135. Kaspari anticipates significant increases the monthly averages during 2017, with a goal of 2,500 passengers per month. "This is good news," Kaspari said of the year-end numbers. “A very competitively priced air fare structure allows the airport to be looked at more favorably" in comparison to other nearby airports. Passengers "are becoming more aware that flying out of Waterloo saves money as they do not have to pay for an added fuel expense and the higher cost of vehicle parking,"
Kaspari noted in his report that the total number of annual American Airlines flights increased to 693 in 2016 from 675 in 2015, due to American officials adding service on weekends and fewer flights cancelled - 20 in 2016 compared with 35 in 2015. Additionally, American’s on-time reliability showed continued improvement .